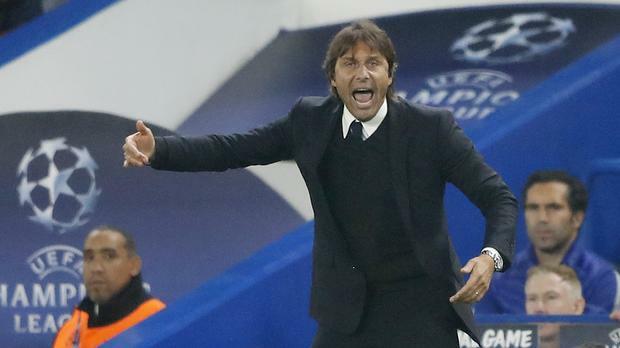 Antonio Conte blasted Chelsea's lack of hunger after becoming the first English club to lose in the Champions League this season with a ruthless 3-0 rout by AS Roma. Conte lamented that the English champions -- who would have advanced to the last 16 with a win -- "lacked everything" after a match where they went a goal down after 38 seconds, the first of a Stephan El Shaarawy double. El Shaarawy made it 2-0 after 36 minutes when ex-Roma defender Antonio Rudiger failed to control Radja Nainggolan's long ball forward. Argentine Diego Perotti scored the third midway through the second half, before missing a chance for a fourth. "Roma proved to have more hunger, more desire, more will to fight and to beat us. We lacked everything," complained Conte. "If we think because our name is Chelsea the opponent is fearful, this is not the right way. We must have a great desire in every game." The former Italy and Juventus boss took over Chelsea in 2016, winning the Premier League title in his first season. But this campaign they are trailing nine points behind leaders Manchester City. "What I am most disappointed about is the performance in the second half. I believe in the first half we played well," he continued. "We then created many chances but we weren't clinical or ruthless enough to convert them. "There is great disappointment for our second half, because I didn't see positive things, it was really bad for a team like us." Chelsea can still qualify from Group C as Atletico Madrid were held 1-1 by Qarabag in Madrid. Conte's side are four points above third-placed Atletico and can go through with a win in their next game in Azerbaijan on November 22. "We must find the hunger we showed all of last season, and sometimes this season. But this season has been up and down. We need to find consistency," added the Italian, who had expressed his optimism before Tuesday's game as players were starting to return from injury. And in a group where they were considered outsiders, Roma are now leaders with two games to go, a point ahead of Chelsea, and five ahead of the Spaniards. A draw in their next game against Atletico would see Eusebio Di Francesco's side through to the knockout round in his first season at the club he played for during his footballing career. The Serie A runners-up have proven solid if uninspirational in the Italian league this season coming off three straight 1-0 victories as they sit fifth. But against Chelsea they have let it rip, following on from a thrilling 3-3 draw at Stamford Bridge two weeks ago. On front of an ecstatic 55,000 crowd at the Stadio Olympico El Shaarawy got the Roma party going. But despite the perfect start Roma did not have it all their own way as three early chances fell to Eden Hazard who was by far the most dangerous Chelsea player. The visitors had two more opportunities before the break from Marcos Alonso and Tiemoue Bakayoko after the hosts had already pulled clear. Di Francesco hailed an impressive team performance. "We've shown that we're an improving side. We mustn't stop now, though. We have to push on from here. "We need to take this spirit with us in all competitions across the campaign -- and if we do I am convinced we can achieve something important."